Home » About Bernstein Liebhard LLP » About Our Attorneys » Joseph R. Seidman, Jr.
Joseph R. Seidman, Jr. received his bachelor’s degree in 1994 from Queens College of the City University of New York and received his J.D. in 1997 from St. John’s University School of Law. Mr. Seidman has litigated complex class actions for over 20 years. Mr. Seidman has worked on numerous securities fraud cases from inception through settlement, including: City of Austin Police Retirement System v. Kinross Gold Corp., No. 12-CV-01203-VEC (S.D.N.Y.) ($33 million recovery); In re Beazer Homes U.S.A., Inc. Securities Litigation, No. 07-CV-725-CC (N.D. Ga.) ($30.5 million recovery); In re Tower Group International, Ltd. Securities Litigation, 13-CV-5852 (S.D.N.Y.) (partial settlement of $20.5 million); In re Taser International Securities Litigation, No. C05-0115 (D. Ariz.) ($20 million recovery); In re Willbros Group, Inc. Securities Litigation, No. 06-CV-1778 (S.D. Tex.) ($10.5 million recovery); In re KIT digital, Inc. Securities Litigation, No. 12-CV-4199 (S.D.N.Y.) ($6,001,999 recovery); Peters v. JinkoSolar Holding Ltd., 11-CV-7133 (S.D.N.Y.) ($5.05 million recovery); and In re Biolase, Inc. Securities Litigation, No. 13-1300-JLS (FFMx) (C.D. Cal.) ($1.75 million recovery). Mr. Seidman was part of the team that successfully litigated an appeal before the Second Circuit Court of Appeals, which reversed a dismissal of the JinkoSolar case and affirmed the materiality standard for securities actions. Mr. Seidman also worked on In re Freeport-McMoRan Copper & Gold, Inc. Derivative Litigation, C.A. No. 8110-VCN (Del. Ch. ), a $153.5 million recovery that represented the second largest derivative settlement in Delaware. Currently, Mr. Seidman represents a number of public pension funds in various class actions. For example, Mr. Seidman represents the City of Atlanta Firefighters’ Pension Fund in Speaks v. Taro Pharmaceutical Industries, LTD, 16-cv-08318-ALC (S.D.N.Y. ), where investors allege that defendants inflated Taro’s stock price by representing that Taro’s growth occurred in a highly competitive environment, while Taro secretly colluded with its competition to fix generic drug prices. 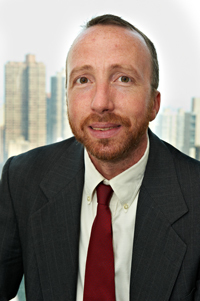 Mr. Seidman also represents the Houston Municipal Employees Pension System in Bitar v. REV Group, Inc., Case No. 2:18-cv-1268-LA (E.D. Wisc. ), where investors allege, inter alia, that defendants knowingly issued unachievable financial guidance. In addition, Mr. Seidman represents the Oklahoma Firefighters Pension and Retirement System in Avila v. LifeLock Inc., 15-cv-01398-SRB (D. Arizona), where investors allege that executives made material misrepresentations to investors concerning LifeLock’s identity protection business and the status of a Federal Trade Commission investigation. Mr. Seidman also represents a class of direct purchaser plaintiffs in an antitrust action, In re Packaged Seafood Products Antitrust Litigation, Case No. 15-MD-2670 JLS (MDD) (S.D. Cal.). The plaintiffs in Packaged Seafood allege, inter alia, that several seafood companies illegally conspired to raise prices on various tuna products. Mr. Seidman is admitted to the Bar of the State of New York. He is also admitted to practice before the United States Court of Appeals for the Sixth Circuit, and the United States District Courts for the Southern and Eastern Districts of New York.